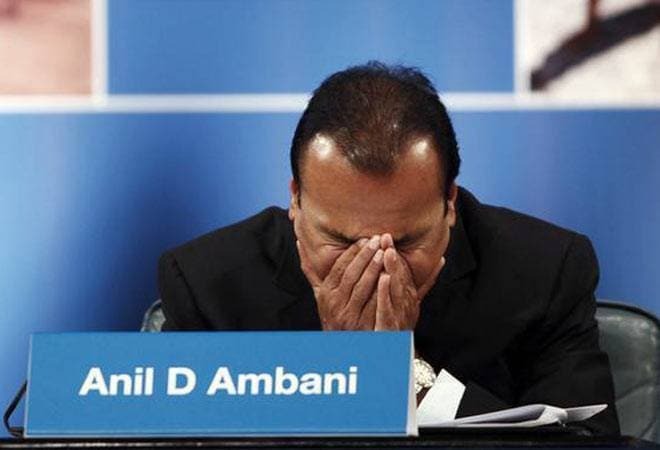 Anil Ambani-led Reliance Group companies on Friday said that illegal, motivated and unwarranted actions by L&T Finance and Edelweiss group is responsible for nearly 55 per cent drop in market capitalisation in just 4 trading days. "A few NBFCs, substantially L&T Finance and certain entities of Edelweiss Group, have invoked pledge of listed shares of Reliance Group and made open market sales of the value of approximately Rs 400 crore from February 4 to February 7, 2019," Reliance Group said in a filing to a Bombay Stock Exchange. Reliance Group companies which are listed on exchange include, Reliance Capital Ltd, Reliance Infrastructure Ltd and Reliance Power Ltd. The group further alleged that illegal, motivated and wholly unjustified action by the above two groups has precipitated a fall of Rs 13,000 crore, an unprecedented nearly 55 per cent, in market capitalisation of Reliance Group over just these 4 short days, causing substantial losses to 72 lakh institutional and retail shareholders, and harming the interests of all stakeholders. The purported exercise of rights to enforce the security is illegal and excessive, and against the process and requirements of the respective borrowings' documentation, Reliance Group stated. There is no adverse impact of RCOM bankruptcy proposal on the group companies, it added. On February 1, Reliance Communications had filed for bankruptcy to resolve its debt position. As of March 2017, the company owed banks USD 7 billion. The decision has come after the telco failed to take necessary approvals from lenders and DoT to conclude its deal with Reliance Jio. In strong retaliation to these allegations, Edelweiss Group said the claims made by Reliance Group are entirely unfounded and baseless. The company said that it has acted responsibly at all times, not only in safeguarding the interests of its investors but also in ensuring that market integrity is maintained. "Edelweiss Group had granted credit facilities against pledge of shares to Reliance Group. Over the last several months, Edelweiss Group has reached out numerous times to Reliance Group to address concerns on shortfall in margins (via regular margin call notices) and resultant fall in collateral valuation. Despite our best efforts, not only did Reliance Group fail to address any of the concerns raised by Edelweiss Group, but also continued to breach contractual obligations," the financial services company said in a statement. "On 4th February 19, there was a sharp drop in the prices of Reliance Group shares, which led to further erosion in the collateral value. Edelweiss Group once again gave due opportunity for remediation. Since there was no response from Reliance Group, it necessitated liquidation of the collateral as per the agreed contractual terms. Throughout this process, Edelweiss has acted in a lawful and responsible manner," it further added.